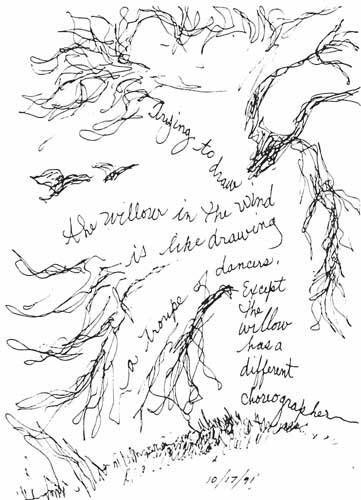 The weeping willow dances in the breeze, and so do I.
and they dance according to my whim. not from just their outside appearance, from their in. tell my brush where to go. Read more on Shorewood Now. This entry was posted in Events, Gallery Night, Party, Reception, Suzanne. Bookmark the permalink.